Major Lazer is an American electronic music band. 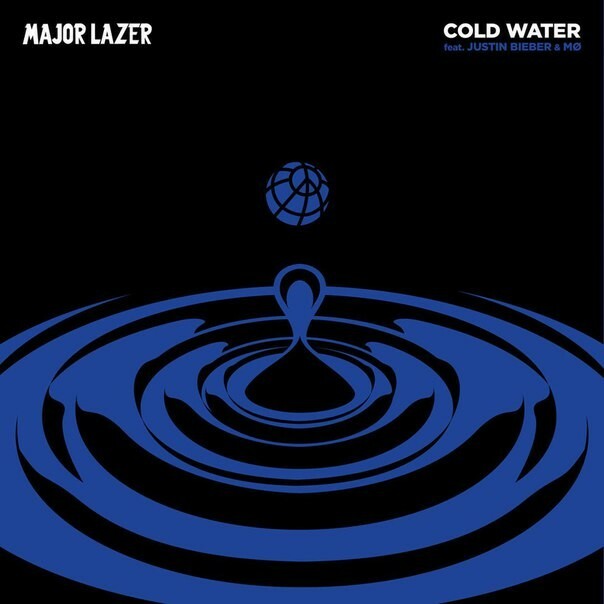 On July 21, 2016, the group released the song “Cold Water”, taken as the lead single from their fourth studio album, Music Is the Weapon (2017), featuring vocals from Justin Bieber and MØ. The song name as shown below is set in Gotham Black. The band has released a lyric video on their Youtube Channel. Here are some of the fonts that have been used for the lyrics text in the video. Obelix Pro Cry for “COLD COLD WATER” and Gotham Black for “FOR YOU”. United Serif Heavy Italic for “YOUR”, Obelix Pro Cry for “LIFE LINE”, and Friday 13 for “TONIGHT”. Upjohn Rough for “LET GO” and Gotham Black Italic for “I WON’T”. The fonts identified above should cover most fonts seen in the video. If you know other fonts used in the video or by Major Lazer in their releases, feel free to let us know.